WHERE CAN I FIND URGENT HELP? 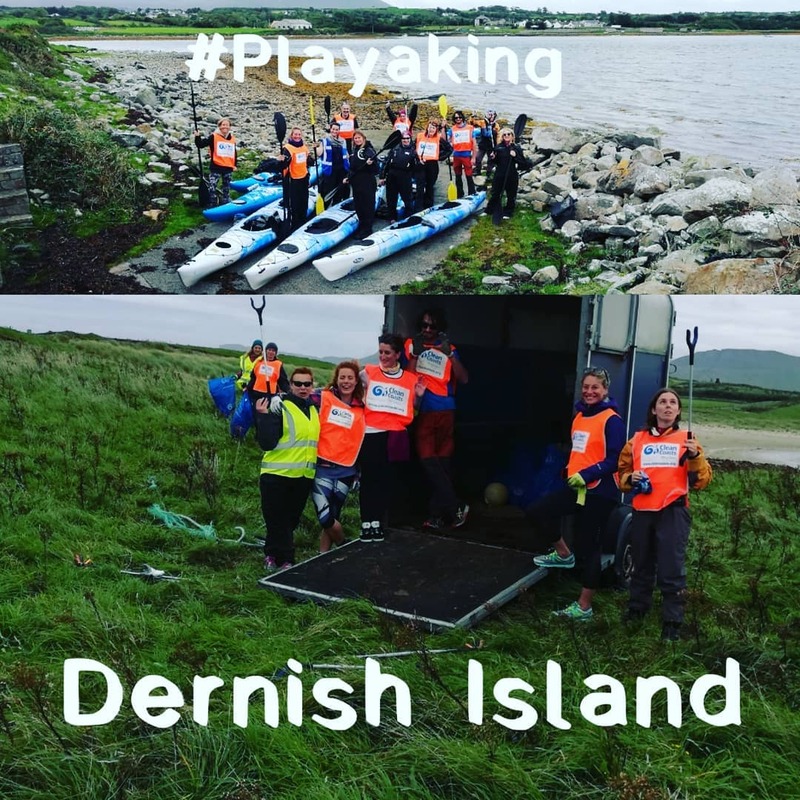 Our mission is to assist with the promotion of positive mental health through life-enhancing activities, connecting people and Havin' a Laugh. 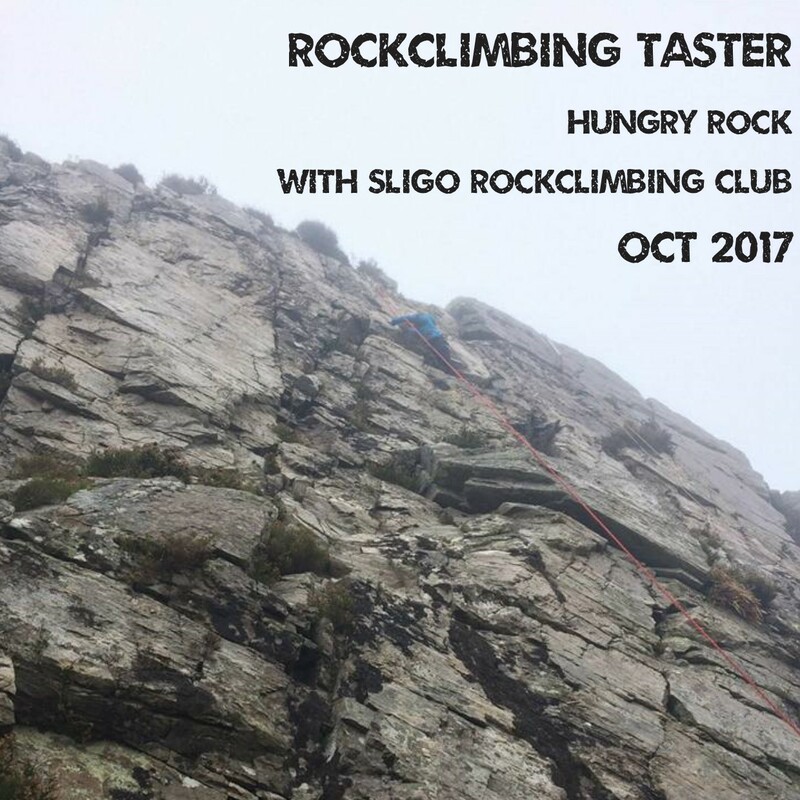 We create events for everyone that showcase the excellent life-enhancing activities available in the Northwest of Ireland. 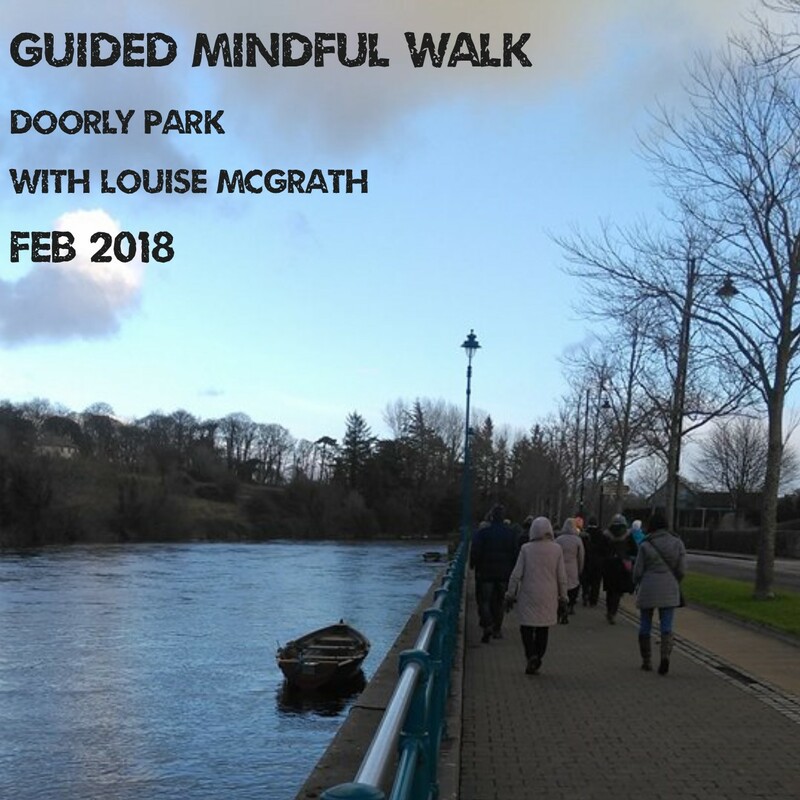 We believe that those of us who are 'up for it and at it' can inspire those who may not yet have that drive, and by taking part in one of our awareness events, you will get the added benefits of becoming more energised clear-headed and relaxed. 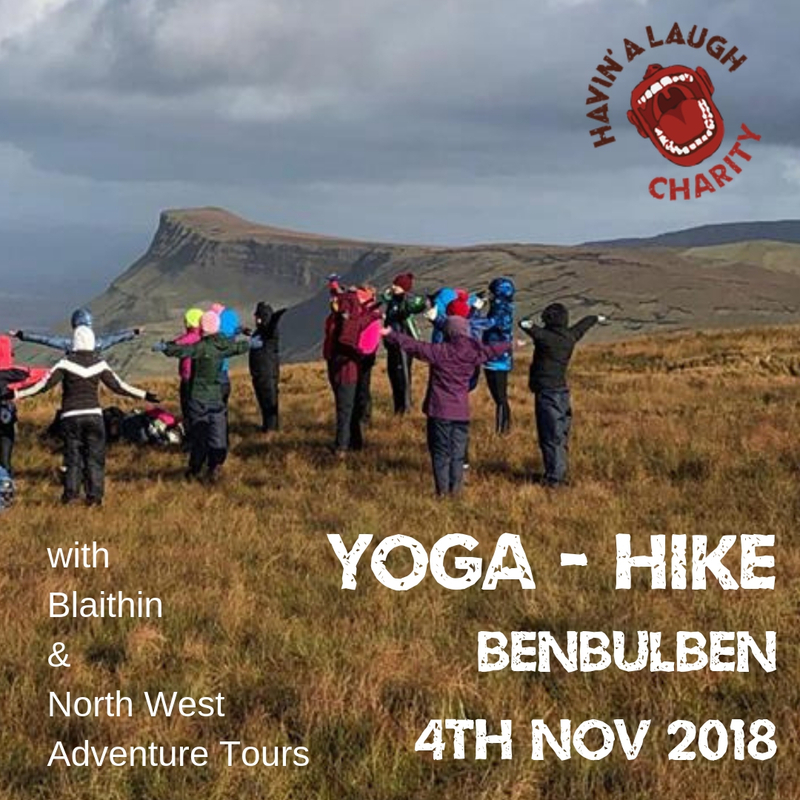 Why not join the Havin' a Laugh tribe and sign up for one of our events below, or if you have an idea for a fundraiser or event that you would like to run, then please contact us and we will be happy to help you. 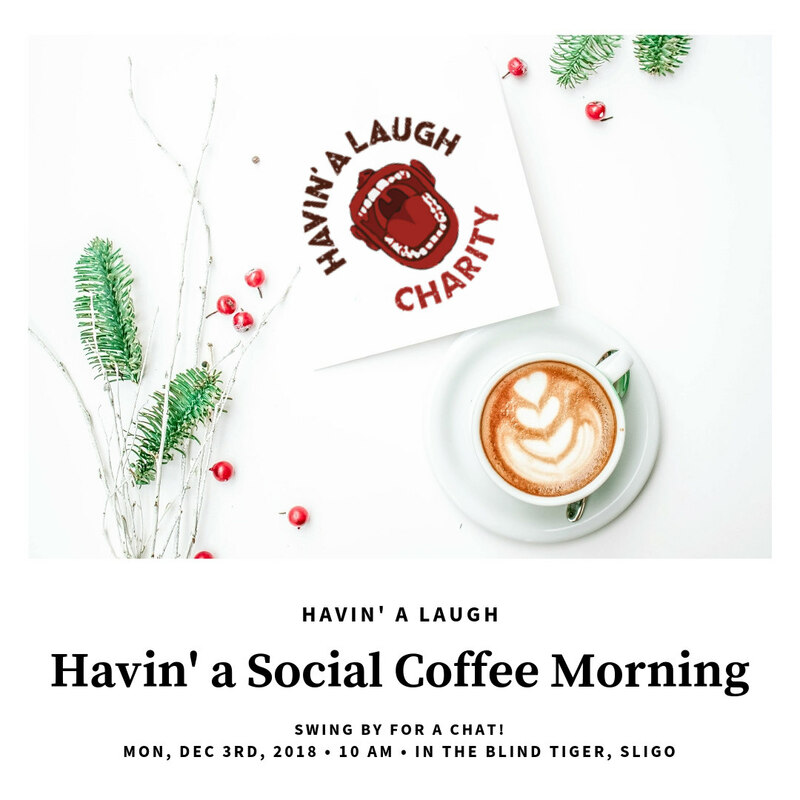 Our next social coffee morning will take place in the Blind Tiger, Sligo on Monday 3rd December next. All are welcome. 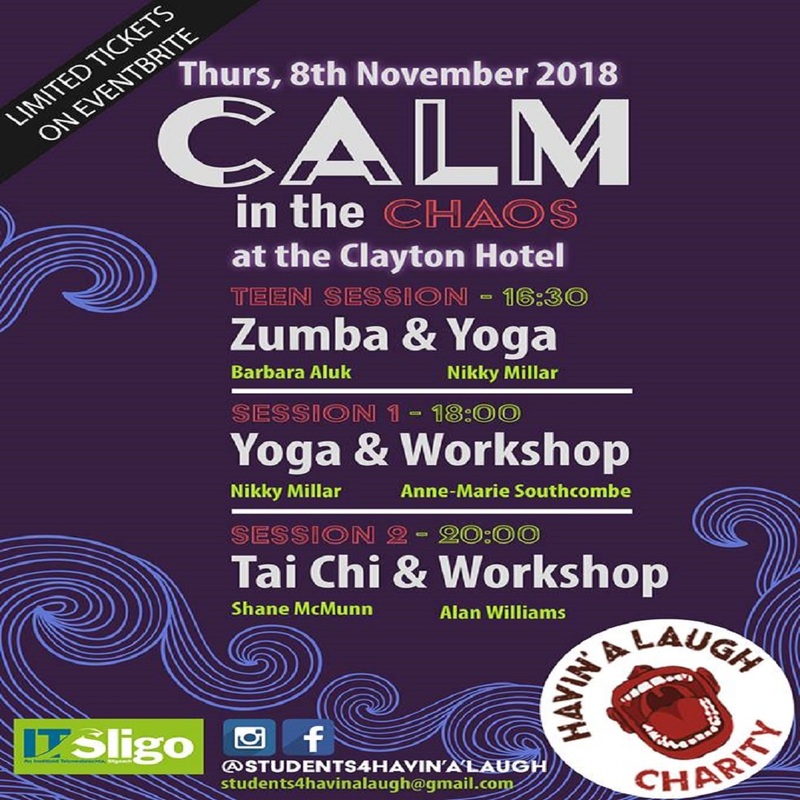 Calm in the Chaos Wellness evening is an event based around life enhancing activities and services available in the Sligo community. 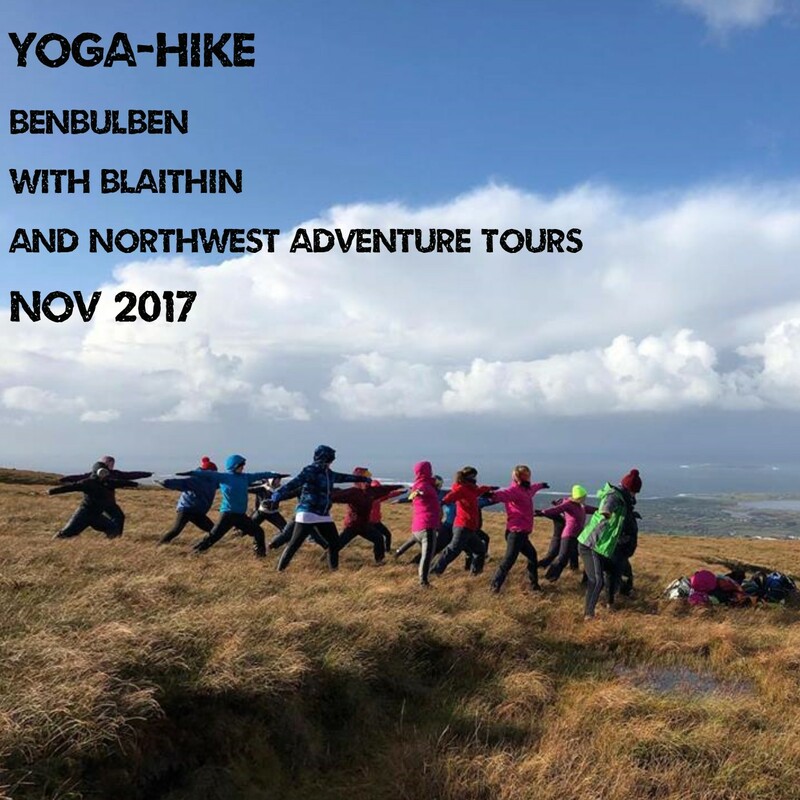 Our annual Benbulben Yoga-Hike will take place on Nov 4th 2018, which is Stress Awareness day.We will be organising a bus from the Riverside hotel to go hiking up Benbulben and doing yoga on top. A stunning building and what a pleasure to have this Coffee Morning run for us. 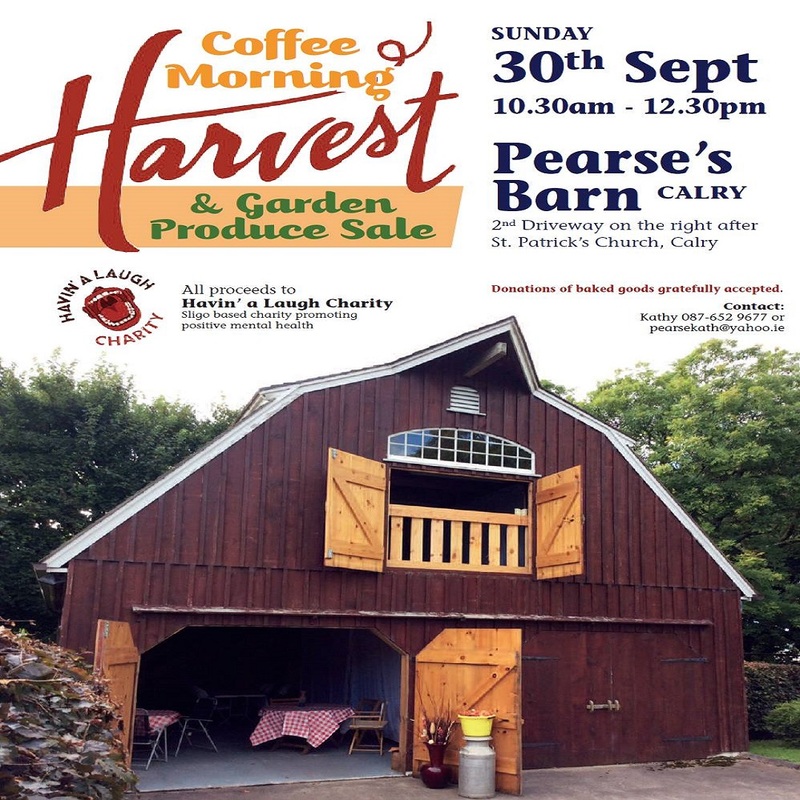 There will be fresh local produce and cakes, feel free to bring your own yummy donation, and we’ll see you at the Barn on Sunday, the 30th of September, 2018. 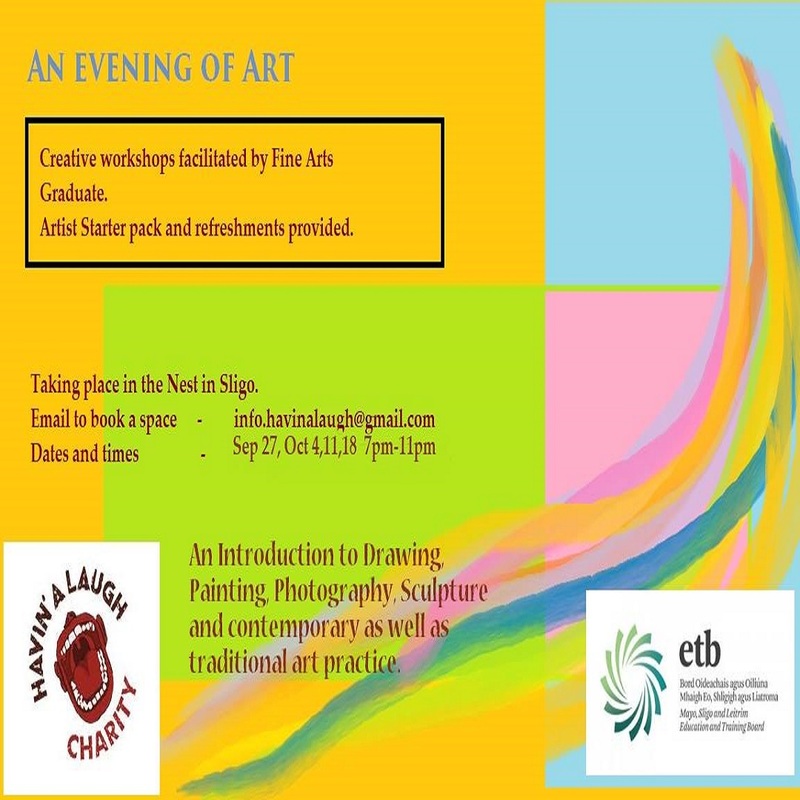 On Culture Night we are Launching a 4 Week Art Program: starting Thursday 27th Sept 7 pm. 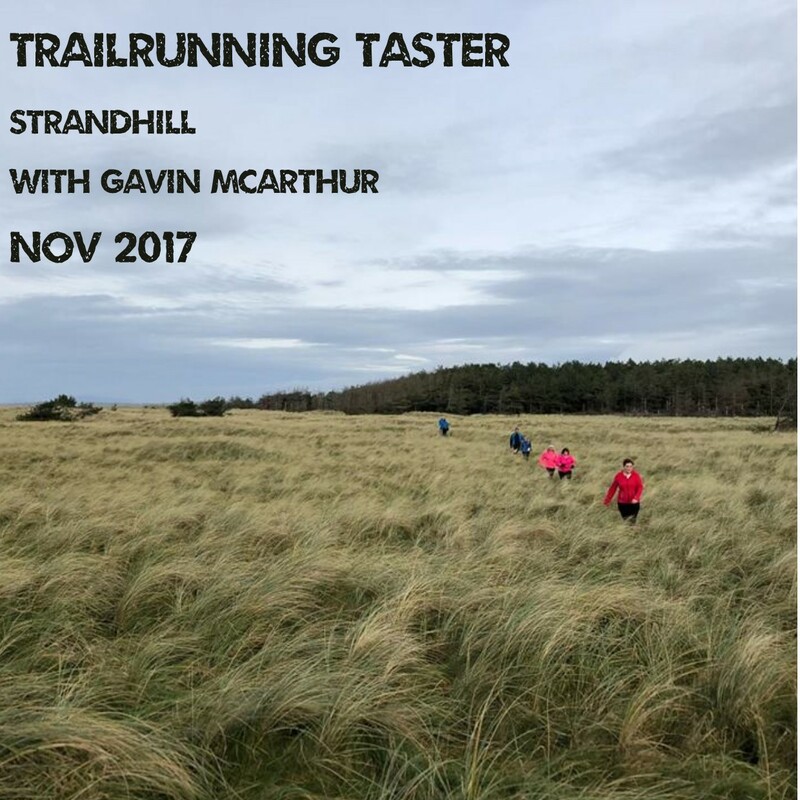 This course is being sponsored by MSLETB and hosted by Havin’ a Laugh, there is no cost to the participants. (donations towards the running cost of the facilities at The Nest accepted). 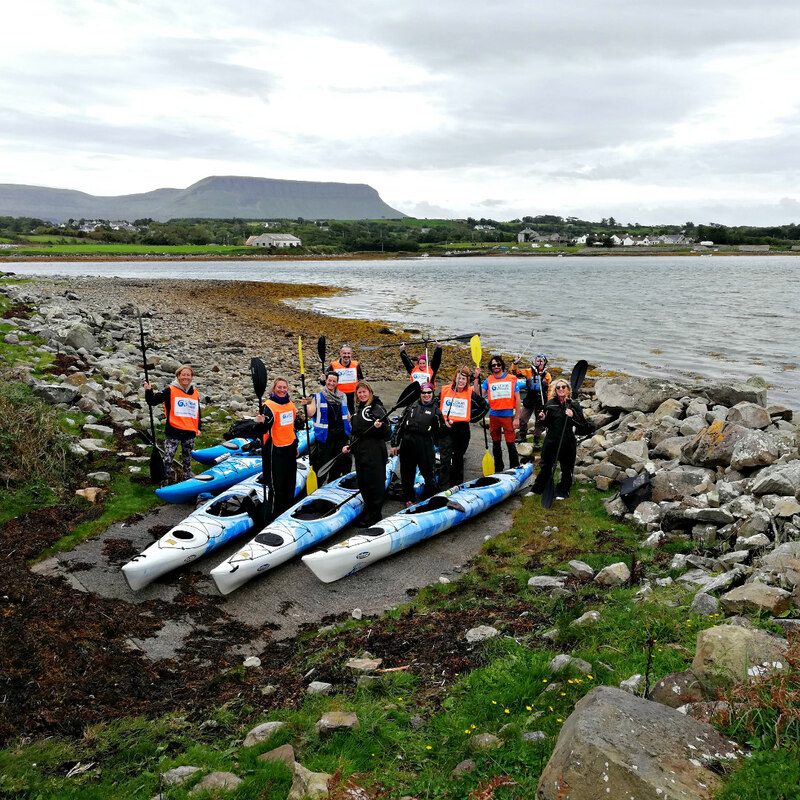 ON SUNDAY 16TH SEPTEMBER, HAVIN’ A LAUGH RAN 3 ECO-ADVENTURE EVENTS. 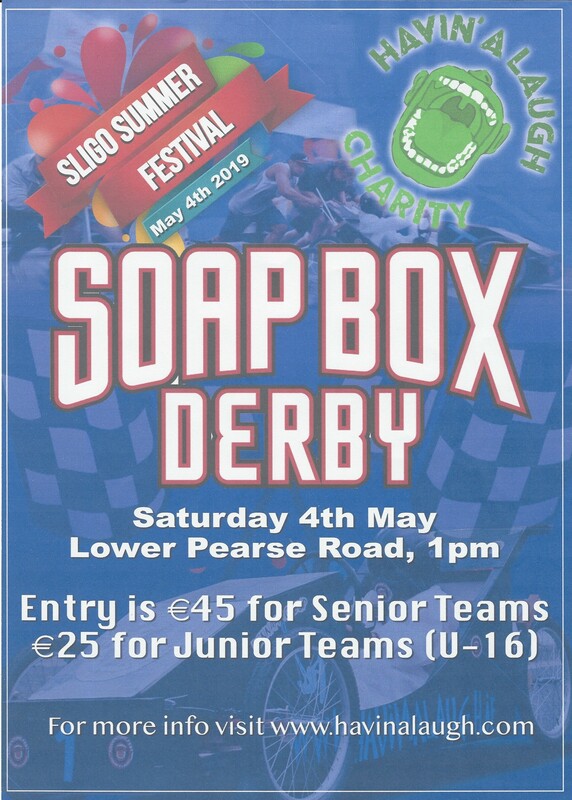 Still time to get your entries in for this years @havin.a.laugh soap box derby.